Good semi-sunny Saturday, Friends! Today I am in the Craft Loft making some birthday cards and using Motion and Fold techniques that I'll be showing during the Blog Hop I'm hosting in two weeks. In trying out new techniques, I've found a way to add pop-dot dimension when you want to raise the entire image, as I did with the flowers I'm using on a card. 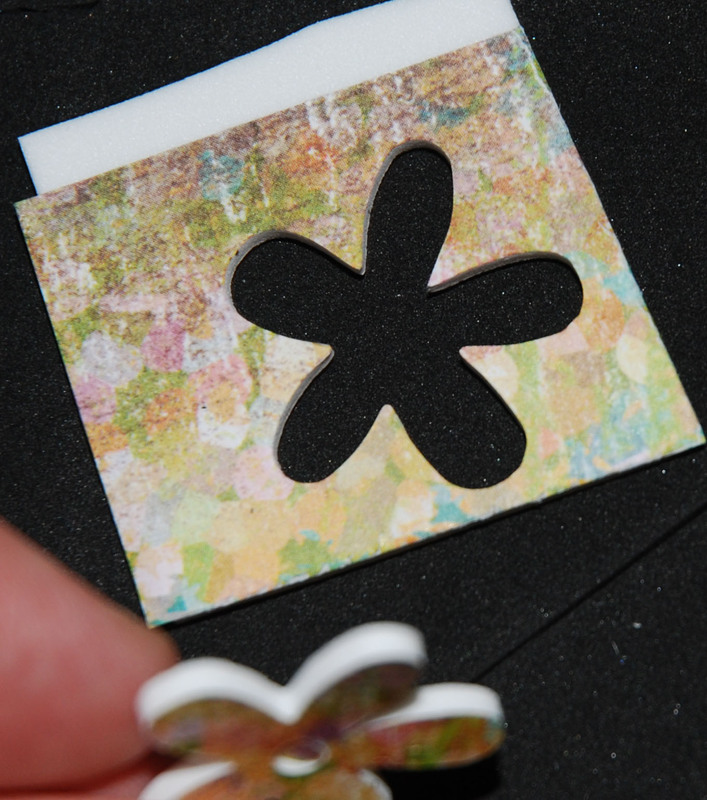 Simply put, what I did was create a sticker from a small piece of paper ... affix it to a similarly-sized piece of foam (about 1/4" thick) ... and then cut the flowers using a Sizzix die. Here is how I did it. 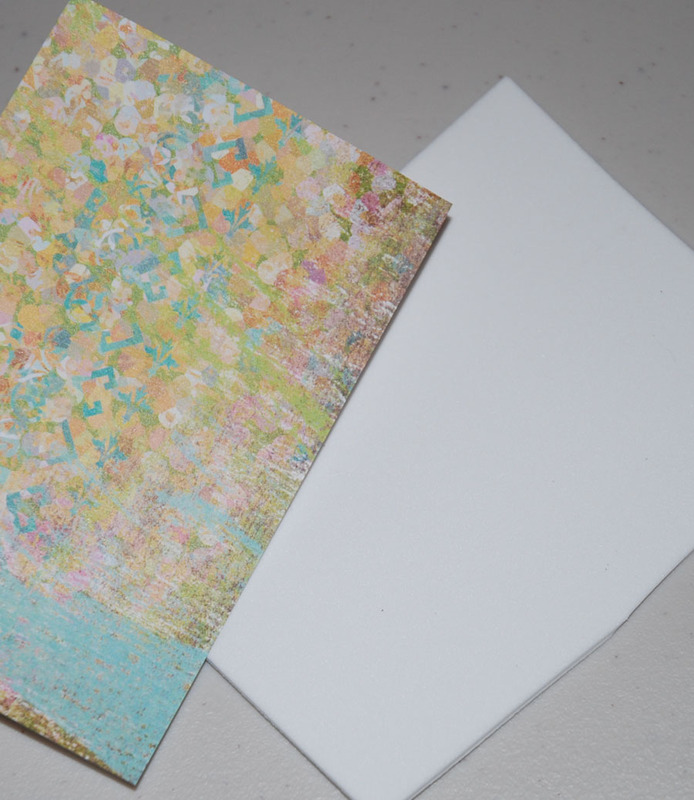 The paper snippet is about 3"x4" wide. 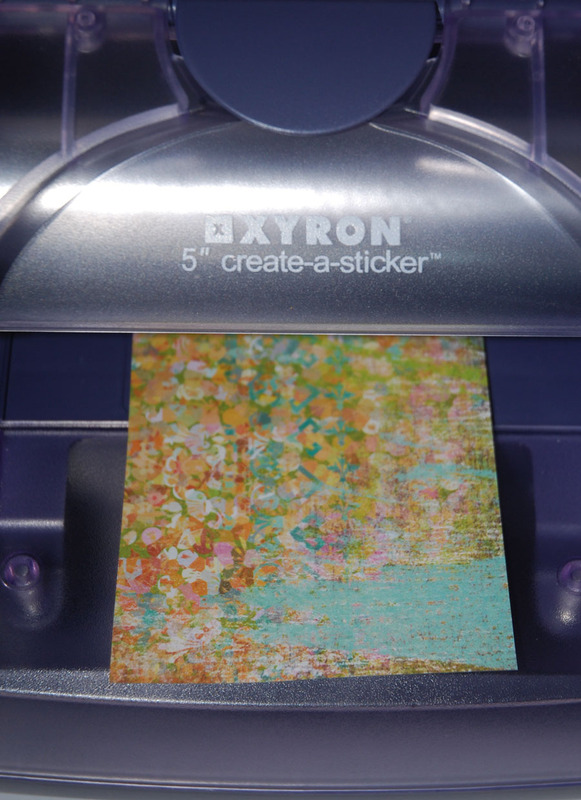 I ran the paper through my Xyron sticker maker. 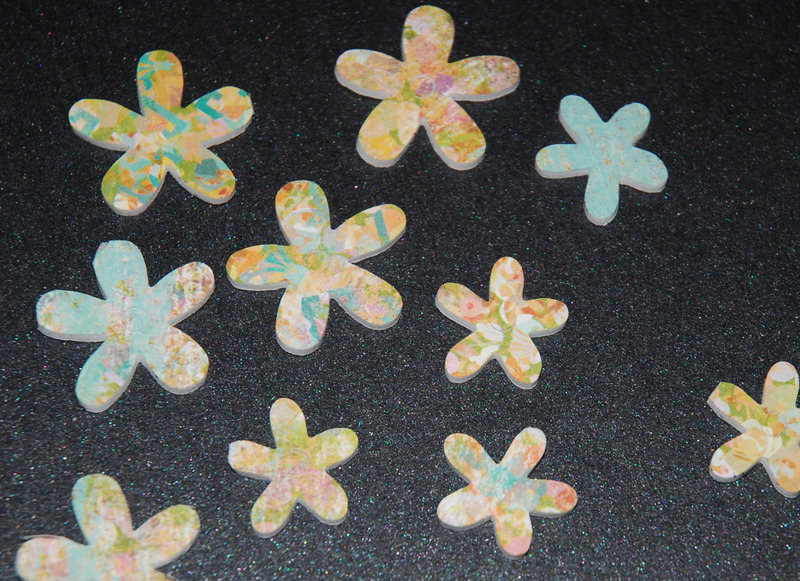 ...then cut pieces that were only as big as the flowers I am cutting. 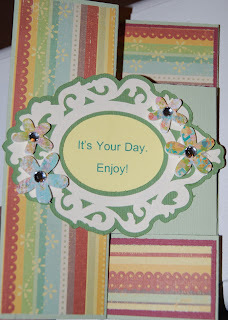 For these flowers, I used a Sizzix die that makes a card/envelope. There are flower embellishments as part of the die. Nice dimension for the full flower! ... and one small piece of paper on foam cut all these embellishments! Incidentally, I tried cutting this foam using my Cricut ... ugh, disaster! 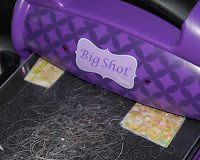 I tried it a million different ways ... with transfer tape over it, with paper stuck on it, slower, less pressure, multi-cut, you name it. I even tried cutting it with my Cricut Cake. NO LUCK! If someone has figured out a way to cut this with an electronic machine (yes, you CAN fussy-cut it with scissors and patience! ), please let me know. 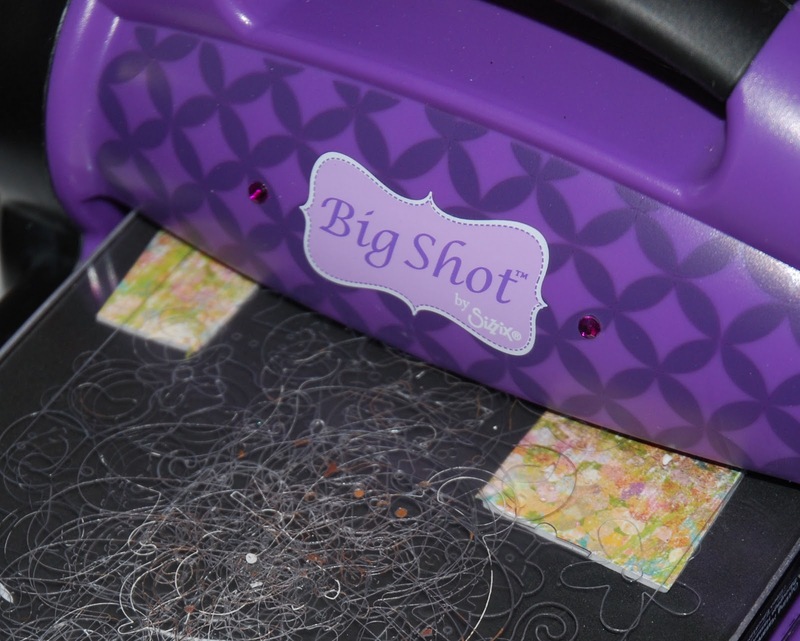 Meanwhile, I did learn that die-cutting with it not only works, but works great! Look for the card using these flowers (sneak peek at the top of this post) featured on the Motions and Folds Card Hop on February 26. 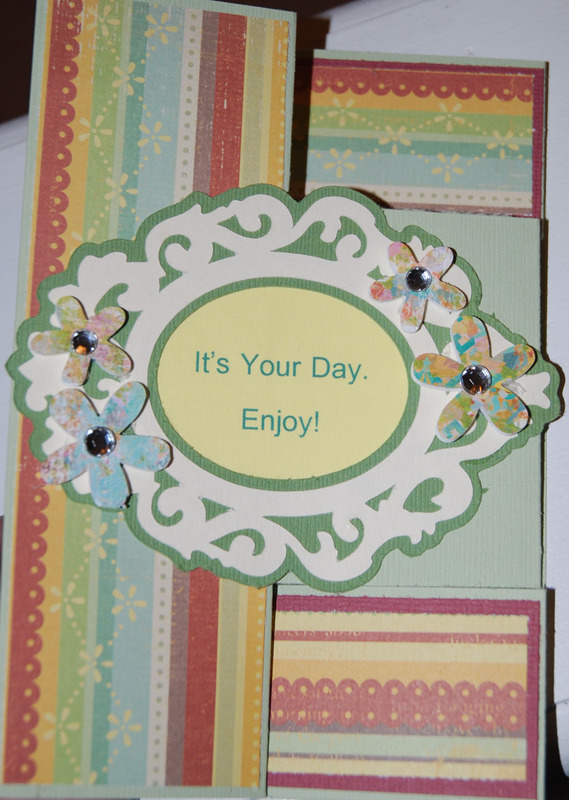 Very pretty card, great pop up flowers!